To validate the application of a magnetic resonance imaging (MRI)-based lobar classification of benign prostatic hyperplasia (BPH) for use in research and clinical management. Two radiologists with 5 and 11 years post-fellowship experience were trained in the lobar classification of BPH using an internally developed atlas of prostate anatomy with example MRI images edited by a third senior radiologist designated as the “administrator” of the study. 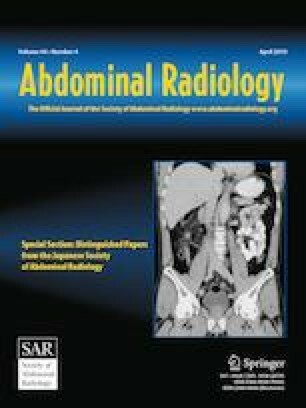 A study population of 140 patients referred to a tertiary academic medical center with known or suspected prostate cancer was selected by the administrator to test the interrater reliability (IRR; precision) of the classification as well as accuracy of the two readers compared to the administrator as the “gold” standard. The intrarater reliability of repeat readings of the administrator was also examined. Percentage of agreement, proportion of agreement, and Cohen’s κ were applied. This was a retrospective IRB-approved study. IRR (precision) between the two interpreting radiologists was 64% agreement, corresponding to unweighted κ of 0.52. Composite proportion of agreement across all BPH types (categories) for interpreting radiologists was 0.67. Observer accuracy was 62% agreement, unweighted κ 0.49, for observer 1 and 67%, unweighted κ 0.58, for observer 2. Intrarater reliability for the administrator was 87% agreement, unweighted κ 0.81 with composite proportion of agreement across all categories of 0.87. MRI lobar classification of BPH is a reproducible and reliable tool for research and clinical applications. This study was not supported by any grants or other financial assistance. Authors have no pertinent conflicts of interest to declare. This study was approved by our Institutional Review Board for human research.